APIndia’s new prime minister Narendra Modi, left, shakes hands with his Pakistani counterpart Nawaz Sharif, as Sri Lankan President Mahinda Rajapaksa, right, and Mauritius Prime Minister Navinchandra Ramgoolam, second right, wait to greet him, during Modi’s swearing in ceremony. Despite making an impressive start with its neighbourhood-first policy, the Modi government is increasingly battling resentment in the region. The message is clear: muscular tactics cannot replace mature diplomacy. A fortnight ago, the government of Nepal took the unprecedented step of cancelling the visit of the country’s President Bidhya Devi Bhandari to India and recalling its ambassador in New Delhi. 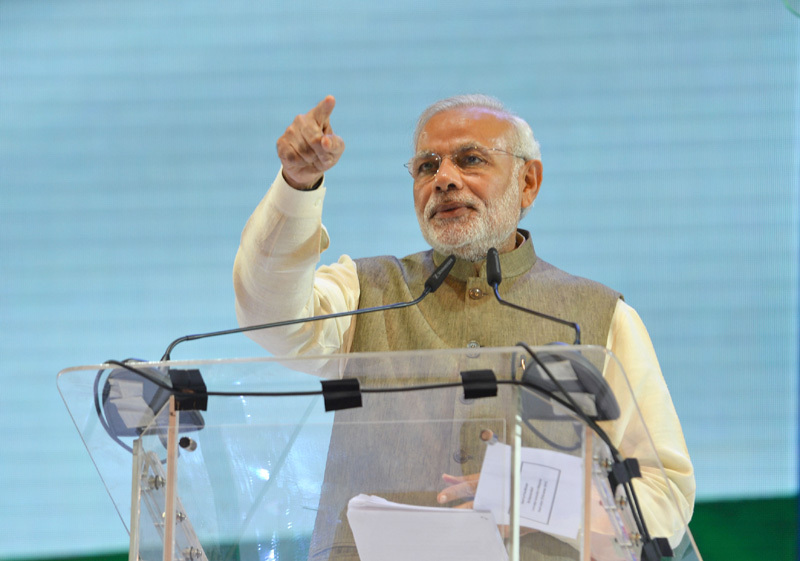 Around the same time, Prime Minister Narendra Modi cancelled his visit to Lumbini. These political developments are symbolic of the frosty relationship that India and Nepal currently share thanks to New Delhi’s high-handed and unimaginative policy towards Nepal. More worryingly, the Nepal-related developments are actually just the beginning of a larger story, of how New Delhi’s spectacularly unimaginative diplomacy is alienating the region. A file photo of the soldiers who were guarding the perimeter fence of IAF base in Pathankot. Shahid Latif believed to be group’s launching commander; team formed within NIA to probe outfit. A special team has been created within the National Investigation Agency (NIA) to work on the Pakistan-based terror outfit Jaish-e-Mohammad (JeM), and the Jammu and Kashmir police have been asked to pitch in, a senior government official said. The terror outfit, which carried out the attack on the Pathankot airbase on January 2, has undergone a change in its hierarchy and Shahid Latif (46), who had spent 16 years in an Indian prison, is said to be one of the top three leaders now. The group is still headed by Maulana Masood Azhar, who was released by the Indian government following the hijack of IC-814 aircraft in 1999. India’s multiple efforts to have him designated as an international terrorist failed after China blocked the move in the UN. In the past two years, JeM’s involvement was found in at least three terror attacks on police stations and army units along the Jammu-Punjab national highway that runs along the border with Pakistan. Officials believe Latif, who is also the launching commander of JeM, operates in the border areas and recruits men to launch terror attacks on Indian soil. Britons will vote in a referendum June 23 on whether the country should remain in the European Union. Groups from both side of the debate are campaigning in the months leading up to the vote. In the coming years, national governments, opposition groups and civil society organizations will increasingly turn to popular votes to decide a broad range of EU-related debates. National governments will probably use referenda (or, more likely, the threat of them) to demand concessions from the European Union, to justify domestic decisions or to increase their own popularity. Votes will take place against a backdrop of growing nationalism and fear of globalization, and the results will likely freeze or reverse the process of EU integration. Europe seems to be in a referendum frenzy these days. In early May, the Hungarian government confirmed its decision to hold a referendum on the European Commission's plan to distribute asylum seekers among member states. In April, Dutch citizens voted against the European Union Association Agreement with Ukraine in a referendum organized by a Euroskeptic organization. In June, the United Kingdom will hold a crucial vote on whether to leave the European Union altogether. The three votes have a common denominator: EU citizens are essentially being asked to decide on issues connected to the process of Continental integration. What happens after companies jettison traditional year-end evaluations? The worst-kept secret in companies has long been the fact that the yearly ritual of evaluating (and sometimes rating and ranking) the performance of employees epitomizes the absurdities of corporate life. Managers and staff alike too often view performance management as time consuming, excessively subjective, demotivating, and ultimately unhelpful. In these cases, it does little to improve the performance of employees. It may even undermine their performance as they struggle with ratings, worry about compensation, and try to make sense of performance feedback. These aren’t new issues, but they have become increasingly blatant as jobs in many businesses have evolved over the past 15 years. More and more positions require employees with deeper expertise, more independent judgment, and better problem-solving skills. They are shouldering ever-greater responsibilities in their interactions with customers and business partners and creating value in ways that industrial-era performance-management systems struggle to identify. Soon enough, a ritual most executives say they dislike will be so outdated that it will resemble trying to conduct modern financial transactions with carrier pigeons. A poor response can be far more damaging than the attack itself. “Can it happen to us?” All over the world, technology executives have been fielding this question from boards of directors and CEOs in the wake of highly publicized cyberattacks on large, well-respected companies and public institutions. “Yes” is the only honest answer at a time when ever more value is migrating online, when business strategies require more open and interconnected technology environments, when attackers have always-expanding capabilities, and when attacks take advantage of limited security awareness among employees and customers. In fact, it may already have happened to you—but you may not know it. Although political “hacktivists,” such as Anonymous and LulzSec, certainly delight in announcing their exploits to the world and causing embarrassment to their targets, other sophisticated attackers seek to cover their tracks. Organized-crime rings engaging in cyberfraud have no interest in letting their targets know they have been infiltrated. ** Could Different Borders Have Saved the Middle East? That Western imperialism had a malignant influence on the course of Middle Eastern history is without a doubt. But is Sykes-Picot the right target for this ire? 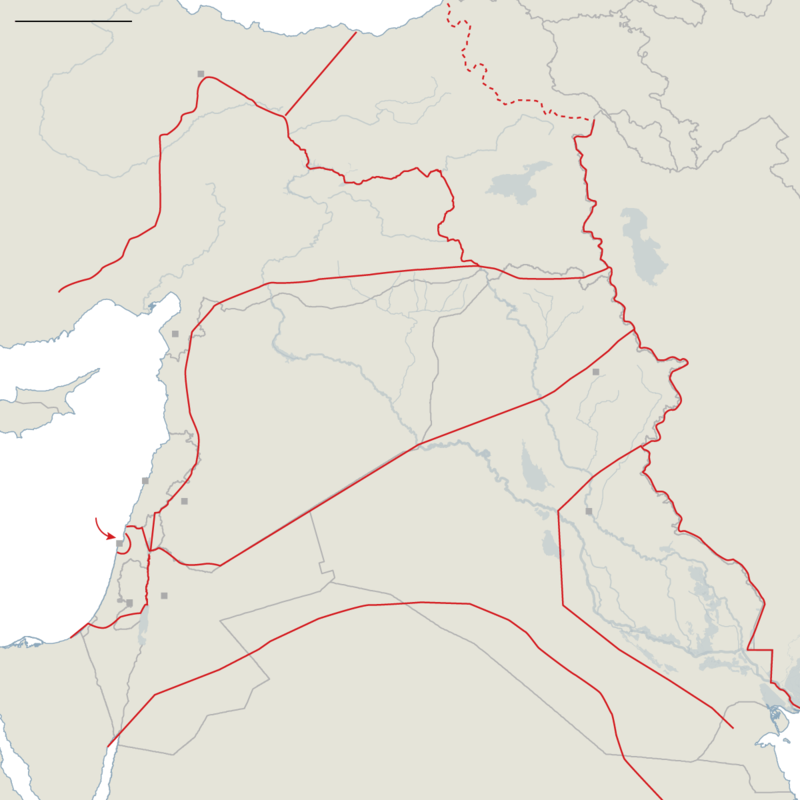 The borders that exist today — the ones the Islamic State claims to be erasing — actually emerged in 1920 and were modified over the following decades. They reflect not any one plan but a series of opportunistic proposals by competing strategists in Paris and London as well as local leaders in the Middle East. For whatever problems those schemes have caused, the alternative ideas for dividing up the region probably weren’t much better. Creating countries out of diverse territories is a violent, imperfect process. A daily explanation of what matters and what doesn't in the world of geopolitics. The Chinese Communist Party’s power does not stem from its ideology. Fifty years ago, in May 1966, the Cultural Revolution began in China. Chairman Mao Zedong unleashed a decade of hell to purge the Chinese Communist Party of what he considered capitalist and traditionalist challenges to communist ideology and to his own power. However, 1966 was not the only year in Chinese history in which the month of May began a transformative revolution. On May 4, 1919, China erupted in protest at what it perceived as betrayal at Versailles. The May Fourth Movement, as it came to be called, is an amorphous term for the political, social and cultural developments that came as a result. When Westerners think of the Treaty of Versailles, they often think of the harsh terms that were imposed on Germany that made World War II inevitable. But Versailles had ramifications in East Asia too. China had contributed large numbers of laborers and workers to the Allied cause in World War I and believed that an Allied victory would be an important step toward the end of imperialism and the beginning of Chinese national self-determination. Chinese delegates were greeted at Versailles with the announcement that Japan had entered into a secret agreement with Great Britain, France and Italy in 1917. In return for Japanese naval assistance against the Germans, Germany's claims over Shandong were to be transferred to Japan. On April 30, 1919, the U.S., the U.K. and France recognized the Japanese claim. Our inability to place the Henderson Brooks Report in public domain is a clear indication of our attitude of preferring to bury our heads in the sand in the fond hope that the problem would disappear. The reverberations of the defeat of 1962 left an indelible stain on the reputation of Pandit Nehru, who subsequently died a deeply dejected man. Pandit Nehru was fully cognizant of the Chinese threat since the early 1950s and had openly mentioned it in the Parliament in 1959. It is high time we get over the mindset that the North East is an outpost and that, therefore, it need not be seen as integral element of the country. There are many who believe that Sino-Indian relations are, slowly but surely, showing an upswing and it is best for us if we continue with the status quo ante with regard to delineation of the border while concentrating on rapidly enhancing our economic ties for our mutual benefit. There are, however, others who take the position that closer economic ties are only feasible as and when substantive progress has been made on the border issue. Regardless of the viewpoint one supports, the fact is that all negotiations are best done from a position of strength, or in case that is not feasible, from a position of relative equality, if one is not to be short-changed. We also need to accept the fact that we now face a China that is no longer an emerging power, but has now emerged on the world stage and is pursuing her ambitions aggressively with single-minded focus. This piece was created in collaboration with Geopolitical Futures. George Friedman is the Founder and Chairman of Geopolitical Futures. The views expressed are the author's own. The United States became the only global power in 1991. In the 45 years prior, it had been locked in a swirling global struggle for primacy with the Soviet Union, and at many moments it did not look like the United States was going to win. Before that, since about the turn of the 20th century, the United States was an emerging power, finding its place in a violent world. In 1991, the United States had to come to terms with a new role. The collapse of the Soviet Union took the U.S. by surprise. Washington’s strategy during the Cold War was to create a complex alliance structure for both military and economic affairs. It embedded its forces in military alliances, and it focused on the development of trading structures designed to entice other countries away from the Soviet Union and into the U.S.-led trading system. The United States was prepared to trade economic advantage for an enhanced alliance. It was also prepared for asymmetric military alliances in which the United States provided the bulk of the resources, and its allies provided far less than they could have. Since the United States saw itself as caught in a global struggle with strategic and moral dimensions, this imbalance made sense. What also made sense was the use of U.S. forces not only to guarantee the security of the alliance, but to act in direct military operations with minimal support from allies. From the Korean and Vietnam wars to the crises in Lebanon in 1958 and Grenada in 1983, as well as endless covert operations, the United States waged a global war of varying intensity against Communism. The United States was driven both by national interest and by its historical reading of the Munich Agreement, which was meant to appease the Germans by allowing them to annex parts of Czechoslovakia. The failure of Munich to prevent World War II was understood by the United States as the result of appeasement and of the failure of the United States to join the Anglo-French alliance sooner. Therefore, during the Cold War, America’s strategy was to constantly refuse to reach accommodation, while attempting to increase the number of its allies. The lessons of World War II became the strategy of the Cold War. It worked in the end. A nuclear war did not erupt, and that is the measure of a successful national strategy. Modi’s Visit to Iran: Will it provide a New Momentum to Bilateral Relations? Having concluded successful visits to the UAE and Saudi Arabia, Prime Minister Modi is now set to take India-Iran relations to new heights. What can be expected from his visit? In the recent past, India has struggled to sustain its strategic and economic ties with Iran under the shadow of Western-led sanctions, although it continued to buy oil and do trade with Iran. In the post-sanctions context, New Delhi has been making efforts to work through various mechanism to enhance its cooperation with Iran, supplemented by many important visits by business delegations, high level officials and Ministers. As background work to make Modi’s visit more meaningful, Dharmendra Pradhan, Minister of State (IC) Petroleum and Natural Gas, and External Affairs Minister Sushma Swaraj visited Iran in April 2016. These visits reflected not only New Delhi’s desire to re-invigorate bilateral cooperation but also to ensure that tangible results ensue from the prime minister’s forthcoming visit to Tehran. Three key areas of cooperation are being looked at in this regard: energy, trade and economy, and connectivity. Before analysing the likely outcome of the Modi visit, it is useful to examine the rising Iranian expectations from India. Japan and India are the twin pillars of Asian security against the overwhelming Asian perceptions of the China Threat emanating from China’s oversized military buildup and China’s hegemonistic impulses to dominate Asia. The China Threat to Japan and India manifests itself both as a ‘direct threat’ from China singularly and also supplemented by China creating two military proxies in the form of two ‘rogue nuclear states’, namely Pakistan and North Korea. Thus we witness the China-Pakistan Axis menacing India and the China-North Korea Axis plaguing Japan’s security. Pakistan and North Korea could not have emerged as nuclear weapons states with IRBM arsenals but for China’s technical assistance and political support. With a common China Threat menacing both Japan and India it becomes pertinent to indulge in a brief overview analysis of the approaches that Japan and India seem to have adopted in the run-up to the second decade of the 21st Century. Such an analysis perforce would need to dwell on Japan and India’s strategic and political cultures, the ‘China Threat Recognition’ in both nations, Japan and India’s politico-strategic strategies to meet the China Threat and the urgency Japan and China have accorded to militarily preparations to meet the China Threat. Japan’s political and strategic cultures comparatively outshine the Indian strategic and political cultures which have yet to mature befitting the national power aspirations of India in the 21st Century. Briefly, Japan zoomed through after the Meiji Restoration to sit at the Versailles Peace Conference in 1919 as an ‘equal power’ of the victorious colonial powers dominating the globe. Virtually, in the same time span of fifty years or so India was floundering in the quagmire of Non-Alignment and unable to achieve strategic recognition as a serious ‘power contender’ in the Asian strategic calculus. The academic world is lately buzzing with the critiques on naval projection of Indian Ocean and sea-based nuclear deterrence in Indo Pacific Asia since the Indian officials proclaimed to formally commission its nuclear powered submarine – INS Arihant – into operational service after finishing the weapons trials and deep sea diving drills. This addition implies two evident and instant implications; first, it is likely to provide India a seaborne nuclear deterrent, notwithstanding the certain attributes of Arihant that is believed to limit its operational role and the skepticism about success rate of missiles tested from this submarine. Second, it will elevate India’s rivalry with China and Pakistan into the maritime domain. Consequently, oceans now have more significant role in strategy than before. The security challenges in Indian Ocean Region (IOR) had magnified in wake of economic trade, energy security and rising rivalry between India and China. In the words of Rear Admiral Alfred Thayer Mahan, “whoever attains maritime supremacy in the Indian Ocean would be a prominent player on the international scene. Whoever controls the Indian Ocean dominated Asia. This ocean is the key to the seven seas in the twenty-first century, the destiny of the world will be decided in these waters.” The region has thus become the hub of power competition between the key regional powers. China meets its growing energy needs by importing majority of the oil through Indian Ocean, whereas India with its hegemonic ambitions in the region wants to keep its traditional influence in the ocean while US already has naval presence in the region. Amidst ongoing insurgent activities of various ethnic armed groups (EAGs) and the political unrest during the just concluded State Assembly elections, Assam faces a growing Islamist terrorist threat from within, from neighboring States, as well as from bordering countries. On May 12, 2016, four extremists belonging to the Muslim Tiger Force of Assam (MTFA), identified as Ismail Ali, Mohidul Islam, Mouizinur Ahmed and Saiyyuddin Islam were arrested during a search operation carried out by the Army and Assam Police at Abhayapuri in Bongaigaon District. Three firearms, including a stolen ‘licensed’ factory-made pistol and two country-made pistols, were recovered from the militants who are suspected to be supplying arms to Muslim extremist groups active in the region. According to Police sources, the militants were involved in several cases of extortion and kidnapping. On April 20, 2016, the Chirang Police arrested seven suspected cadres of Jama’atul Mujahideen Bangladesh (JMB) from two different areas in the Chirang District of Assam. Five of them were arrested from the Dawkanagar area; another two, including the imam (prayer leader) of Rajapara Masjid (mosque), were arrested from the Amguri area. Bodoland Territorial Area District (BTAD) Inspector General of Police (IGP) L.R. Bishnoi stated, “All these jihadis were operating in Assam under Bangladesh-based jihadi module JMB. They had set up a camp for imparting physical training and there were plans to impart arms training later. Two people came from West Bengal to impart training to the jihadis here. We have got their names and addresses and we are in touch with our counterparts in West Bengal to arrest them”. He also disclosed, “After the police busted a training camp in Dawkanagar in September 2015, initial probe pointed to the presence of at least 28 jihadi cadres in the area. But with the latest arrests, the total number of arrested jihadi cadres shot up to 29 and interrogation revealed that at least seven others are on the run.” He added that the numbers may go up further. On 11 and 13 May, India completed 18 years as a nuclear-armed state. A couple of weeks from now Pakistan will do so too. And yet despite sharing the same age as overt nuclear weapons states, the two countries are far apart in their understanding of nuclear issues and behaviours. Both have chosen dissimilar objectives for their nuclear weapons, are pursuing diverse capability trajectories, and projecting deterrence in disparate ways. As China continues to block India’s entry into the Nuclear Suppliers Group (NSG) and seeks the same treatment for its ‘all weather friend’ Pakistan, it would be a good idea to understand some of these stark differences that undercut the very demand for uniform treatment. The first and most evident difference lies in the purpose of the nuclear weapon in the national security strategies of the two countries. For India, the nuclear weapon performs a narrow, limited role of nuclear deterrence – to deter only the nuclear weapons of the other side. It is for this reason that acceptance of universal nuclear disarmament also comes naturally to India since if there were no nuclear weapons with the adversary India would not need such weapons either. For Pakistan, on the other hand, nuclear weapons serve the purpose of deterring India’s conventional superiority. The Indian conventional strength bothers Pakistan because it fears its coming into play in response to its continued support for terrorism on Indian territory. In one sense then, the objective of Pakistan’s nuclear weapons is to provide it with the space and the immunity to continue its policy of bleeding India through a thousand cuts while shielding itself against a conventional Indian response. For argument’s sake if we keep the violent insurgency problem in Kashmir aside for the reading time of this article, Kashmiri politics is primarily characterized by politics of identity and culture. While there are deep problems with defining culture and cultural analysis, sociologists and cultural theorists still attempt to theorize about cultural politics. One such theory is the micro-aggressions theory. Micro aggression is a term coined by psychiatrist and Harvard University professor Chester M. Pierce in 1970 to describe insults and dismissals he regularly witnessed non-black Americans inflict on African Americans. In 1973, MIT economist Mary Rowe extended the term to include similar aggressions directed at women, and those of different abilities, religions, etc. She also used the word micro-inequality to describe an inequitable treatment of another person in a manner that is not overtly “aggressive”, yet which might stem from negligence, ignorance, or what we now call unconscious bias. Eventually, the term came to encompass the casual degradation of any socially marginalized group, such as the poor and the disabled. 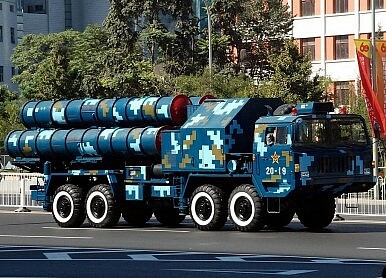 Will China Sell New Long-Range Surface-to-Air Missiles to Pakistan? Pakistan is ready to make a decision over the procurement of new Chinese air defense systems once it receives a complete sales proposal, Pakistan’s Prime Minister Nawaz Sharif said during a high-level meeting with senior Chinese officials last Friday in Islamabad, according to a press release issued by the Pakistani Prime Minister’s Office. “The Prime Minister said that the decision for induction of Air Defense System in Pakistan by CPMIEC would be finalized after receipt of complete proposal from the Chinese side. The Prime Minister noted with satisfaction the pace of existing joint collaborative mechanism between Ministry of Defense Production and CPMIEC in other fields of mutual interest,” the statement notes. The Chinese delegation included the deputy head of the China Aerospace Science and Industry Corporation (CASIC), Wei Yiyin, and the chairman of the China Precision Machinery Import and Export Corporation (CPMIEC), Zhao Xiaolong, along with a number of other senior government officials. The Chinese delegation was in Pakistan to discuss deepening defense industrial ties between the two countries. The press release does not offer any details over the air defense system under consideration. However, Pakistani analysts believe that it could be a reference to a long-anticipated acquisition of a new long-range surface-to-air missile (SAM) system. The 50th anniversaries of the opening salvoes of China’s Cultural Revolution, a frontal assault on Chinese values in which a million or more people died, are upon us. The salvoes were several, and it is not clear which should count as the beginning. On May 16, 1966, Mao Zedong suddenly indicted some of his rivals; on August 5 he published a call to “bomb their headquarters;” and on August 8 he announced the “Great Proletarian Cultural Revolution.” To associate all of the mind-boggling mayhem that followed with any particular day—in the way, for example, we use “June Fourth” as a tag for the massacre of unarmed protesters in 1989—seems almost trite. Individual dates are but flotsam on an ocean of suffering that seethed in China for several years and that has affected the national psyche ever since. By Commodore RS Vasan IN Retd. The initial reaction of the USA to review its invitation to China to participate in the forthcoming RIMPAC could be seen as a response to the turning away of the request to dock an aircraft carrier in Hong Kong earlier this month. However, USA has invited China to join in the forthcoming edition of claimed to be the largest joint maritime military exercise in the world. This will also have elements of HADR and SAR besides military maneuvers. It has also been announced by the US Navy that there would be live firing of a Harpoon missile during the exercises sometime in July 2016. It is obvious to any naval analyst that in joint exercises of any form anywhere in the world, there is a continuous evaluation taking place of the “means and methods” used in the exercises by both sides. The type of vessels, sensors, weapons, levels of training, readiness of the ship’s system and the appearance, response and the body language of the crew manning these ships would always be under close scrutiny. USA would not have allowed such an opportunity to go by (to understand more about a potential adversary).China would also use the opportunity to assess their own capability during the exercise by sailing with the best in the world. Let there be no doubt that at the end of the RIMPAC there would be a complete analysis of the capability and potential of all the participating units that will go in to the data base and also in the tactical planning for counters and contingencies of the future on both sides. The U.S. Department of Defense released a detailed report two days ago describing China’s growing military power and how this is being used to assert claims to the entire South China Sea. China quickly denounced the report by insisting that China was only defending itself by resuming traditional control of off-shore areas. While this plays well inside China the historical record and international agreements do not. Throughout history the most common cause of wars was territorial disputes like this. Chinese leaders know this but they need an external threat to distract a population angered by government misbehavior. Mainly this is about corruption which has led to a lot of incompetent officials, extensive pollution and growing abuse by the many security agencies a communist police state needs to survive. Most Chinese don’t really care if communists run the country as long as they do it competently and efficiently. The communist government that has been in charge since the late 1940s is seen as a failure by many Chinese and that, understandably, has the government concerned (for its own survival). The American report describes how China believes it can gain control of the South China Sea. Currently American and Chinese warships are literally facing off as the United States challenges Chinese claims. China believes it can handle American warship visits to the South China Sea without triggering a disastrous (especially for China) war. This is being done by quietly mobilizing a growing fleet of civilian cargo and fishing vessels. These unarmed ships are used, usually in groups, to block the moment of unwelcome foreign commercial or military ships. This Chinese “naval militia” has a numerical advantage because the U.S. Navy only has 55 warships assigned to the West Pacific while the China has 116 warships assigned to its southern (mainly the South China Sea) fleet plus 200 large (over 500 tons) seagoing coast guard vessels in the area. Increasingly China is calling in the naval militia, which it maintains with subsidies (for building new fishing boats) and assurances that the navy will assist Chinese fishermen in gaining access to foreign fishing areas and exclusive use of fishing grounds in international waters. There appear to be over a hundred civilian ships (mostly ocean going fishing trawlers) associated with this militia program, which openly functions as a government supported organization and has headquarters in southern China. Chinese Foreign Ministry spokesman Lu Kang said that not only China but also a lot of other NSG members are of the view that Nuclear Non-Proliferation Treaty (NPT) is the cornerstone for safeguarding the international nuclear non-proliferation regime. Defending its move to block India's entry into the Nuclear Suppliers Group, China today claimed that several members of the 48-nation block shared its view that signing of the NPT was an "important" standard for the NSG's expansion. Lu said the NSG is an important part of NPT, which has been the consensus of the international community for long. Although India is not part of the NSG, Indian side recognises this consensus, he claimed. "All the multilateral non-proliferation export control regime including the NSG has regarded NPT as an important standard for the expansion of the NSG," he said. China has started construction of its biggest Suwalong hydropower project at the junction of Mangkam county in Tibet and Batang county in Sichuan province has a design capacity of 1.2 gigawatts and will be able to generate about 5,400 gigawatts hours of electricity a year when completed in 2021. The project costing over $3 billion will supply electricity to the economically well-off regions in the country’s eastern region. 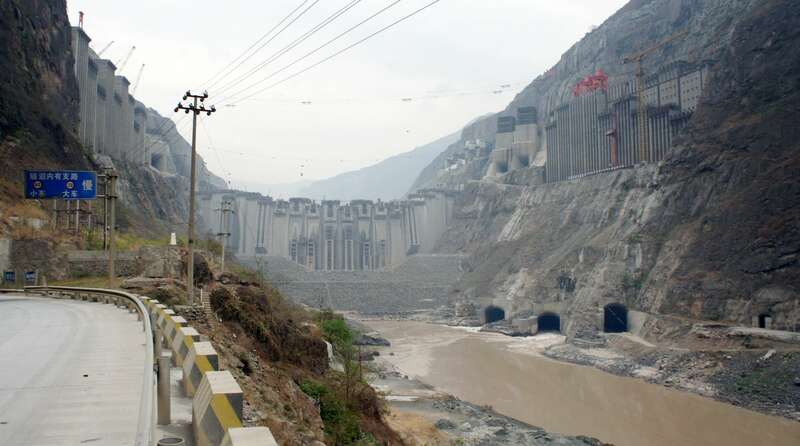 It is hoped that the 18 billion Yuan ($3 billion) Suwalong dam, could pave the way for other projects in the headwaters of the adjacent Nu (Salween) and Lancang (Mekong) rivers to “fuel development” of hydropower in Tibet, Hong Kong-based South China. China has overtaken the United States for the first time as the world’s biggest “acquiring nation” for mergers and acquisitions in the technology industry, accounting for a 45 per cent share of the market in the first four months of this year, according to a report from Dealogic. It estimated that Chinese technology acquisitions reached a new high of $65.7 billion through 456 transactions, up from the previous record of $41.6 billion through 434 deals in the same period last year. Ma Jian is the author of Beijing Coma and, most recently, The Dark Road. LONDON – Fifty years ago this month, Mao Zedong launched China’s Cultural Revolution – a decade of chaos, persecution, and violence, carried out in the name of ideology and in the interest of expanding Mao’s personal power. Yet, instead of reflecting on that episode’s destructive legacy, the Chinese government is limiting all discussion of it, and Chinese citizens, focused on the wealth brought by three decades of market-oriented reforms, have been content to go along. But at a time when President Xi Jinping is carrying out ruthless purges and creating his own cult of personality, burying the past is not cost-free. In August 1966, Mao published Bombard the Headquarters – My Big-Character Poster, a document aimed at enabling the purge of the Chinese Communist Party’s leading “capitalist roader”: then-President Liu Shaoqi. In the “poster,” Mao called for China’s youth to “pull the emperor off his horse” and start a grassroots rebellion. Young people responded with alacrity. “Red Guard” student paramilitary groups quickly cropped up across the country to advance Mao’s will. 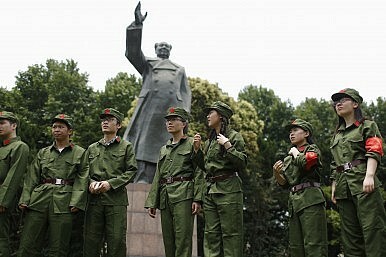 Within 100 days, Mao had succeeded in purging swaths of the central Party leadership, including Liu and Deng Xiaoping. IN FEBRUARY 1970 a 16-year-old boy, Zhang Hongbing, denounced his mother to an army officer in his village in Anhui province, in eastern China. He slipped a note under the officer’s door accusing her of criticising the Cultural Revolution and its leader, Mao Zedong. She was bound, publicly beaten and executed. Decades later Mr Zhang began writing a blog about the tragedy, seeking to clear his mother’s name and to explain how her death happened. “I want to make people in China think,” he wrote in April. “How could there be such a horrifying tragedy of…a son sending his mother to execution? And how can we prevent it from happening again?” Mr Zhang suffers recurrent nightmares about his mother. So does China about the Cultural Revolution. What documents at the time called “the Great Proletarian Cultural Revolutionary bugle to advance” first sounded 50 years ago, on May 16th 1966, when Mao approved a secret circular declaring war on “representatives of the bourgeoisie” who had “sneaked into the Communist Party, the government, the army and various spheres of culture”. Just over a year later Mao wrote to his wife, Jiang Qing, that he wanted to create “great disorder under heaven” so as to achieve “greater order under heaven”. The recent storming of Baghdad’s heavily fortified Green Zone by protesters led by Shiite cleric Moqtada al-Sadr brought to the surface a long-standing dilemma: the system which has governed the country since 2003 is in need of radical reform, but because the ruling political class has in many ways come to embody the system, it is highly resistant to genuine change. Street protests and recalcitrant politicians have created a combustible formula, paralysing state institutions and threatening to bring them down. Meanwhile, the security situation is dire, as evidenced by a series of attacks in Baghdad this week claimed by the Islamic State. Three dynamics are at play. The first is the dysfunction of the post-2003 political system. Ostensibly designed to ensure fair ethnic-sectarian representation in state institutions, in practice it allows political parties defined by ethnic-sectarian identities to control them. Second is the mounting loss of popular trust in these parties and anger over their poor performance. Third is the fracturing of the political leadership, especially among and within the largest Shiite political forces — the Daawa Islamic Party, the Islamic Supreme Council of Iraq (ISCI), and Sadr’s own al-Ahrar — which has been accelerated by the popular discontent and the system’s shortfalls. From the Russian viewpoint, its sagging economy due to steep fall in oil prices and the strain of sanctions makes Putin welcome expanded trade and investment relations with Japan. Analysts believe that at a time when Russia is isolated from the G-7 countries, maintaining cooperative relations with Japan is not only good diplomacy, but it could also reduce Russia’s present dependence on China. Japanese Prime Minister Shinzo Abe’s meeting with Russian President Vladimir Putin at Sochi on 6 May carried a great deal of importance and publicity as it demonstrated his tenacious resolve to bring about a new turnaround in the bilateral relations which have hit a road block since the Ukraine crisis in 2014. 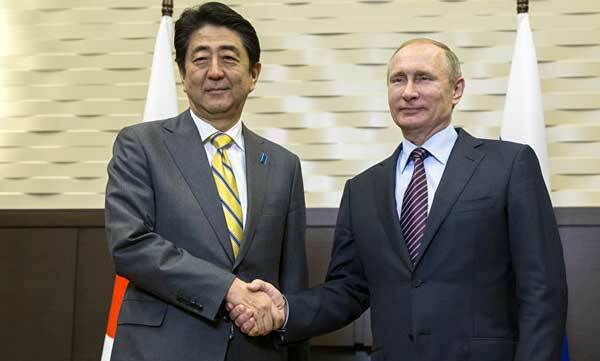 It was Abe’s fourth visit to Russia while Putin has not visited Japan even once despite strong pressures from Tokyo. Satellite imagery obtained by Stratfor sheds new light on the July 2014 downing of Malaysia Airlines Flight MH17 over eastern Ukraine. Recent scrutiny of open-source materials, much of it led by a U.K.-based collective investigation project known as Bellingcat, has zeroed in on a Russian-made Buk surface-to-air missile system that was in eastern Ukraine around the time Flight MH17 was shot down. The Buk system is suspected of originating from an anti-aircraft missile brigade based in Russia. In early May, new video footage of unknown origins was released, appearing to place the Buk system in question near separatist-controlled Donetsk on July 17, 2014, just hours before the airliner was shot down. Building on this new information, AllSource Analysis — Stratfor's satellite imagery partner — was able to locate images that confirm the exact time and location of the air defense system on the day of the crash. The imagery shows the air defense system, mounted atop a transloader, being transported east through the Donetsk town of Makiivka. The images were taken approximately five hours before Flight MH17 was shot down from a location near the town of Snizhne, about 40 kilometers (25 miles) away. This aligns with the body of existing circumstantial evidence tracing the Buk system's route to and from Snizhne. Combined, the evidence appears to show the Buk system moving from the Russian border toward Donetsk on July 15, 2014, and then moving back to the east on the afternoon of July 17, 2014, just hours before Flight MH17 was shot down. Since its January 5 test of a thermonuclear weapon, North Korea has conducted additional tests of its ballistic missile delivery systems. According to South Korean media, it is believed that the Kim regime will conduct another underground nuclear test in the near future. If this news were not concerning enough, China recently warned its neighbors against interfering with its militarization of a number of atolls in the South China Sea, which are being transformed into small islands unsettlingly close to the Philippines and Vietnam. Simultaneously, Russia is sabre rattling in Eastern Europe with an increasingly aggressive posture that leads many within NATO to believe that the possibility for the use of tactical nuclear weapons is at a twenty year high.. For the United States, this is not good news because Russia maintains a clear superiority in tactical nuclear weapons and delivery systems. Eye In The Sky is a real-time drama that examines the moral and philosophical implications of the war on terror. As a vehicle for understanding the web of complexities governing the use of sophisticated weaponry in warfare, it is good—but not perfect. The plotline is, by now, routine, but still riveting. Senior military and political officials from the United States and the UK (Helen Mirren and Alan Rickman play high ranking British officers) are conducting a joint military operation to eliminate key leaders of al-Shabaab, who have embedded themselves within a civilian neighborhood of Nairobi. Limiting incident response planning to hypothetical table-top scenarios is far too risky in today's threat environment. But with cyberwar gaming, you can simulate the experience of a real attack. War games are an important aspect of maintaining military readiness. In the Cold War-era, NATO and SEATO were seemingly always engaged in war games with a twofold purpose: preparation for potential real-world incidents and as a show-of-force to the West’s rivals in the USSR, Eastern Bloc, and Communist Asia. Global threats have evolved since the collapse of the Iron Curtain, and war gaming has shifted focus to address new threats such as a belligerent North Korea and an increasingly unstable Middle East. But the underlying message behind war games remains the same: we’re ready, we’re able, and there will be dire consequences if you choose to tangle with us. The modern enterprise should take a page from this approach to apply cyberwar games to their network and data security strategies.